4" End Clamp Stainless Steel Pressure Vessel Membrane Housing | Applied Membranes Inc.
AMI Stainless Steel Pressure Vessel Membrane Housings are designed for use in commercial reverse osmosis, nanofiltration, and ultrafiltration water treatment systems. The seamless stainless steel body is sturdy and reliable, while giving a smooth, sleek look to the system. The unique clamp-on end closures provide easier removal of the end caps for faster maintenance and membrane change-outs. AMI 4" SS Membrane Housings are designed for direct connection to AMI/Applied Membranes and FilmTec/DOW style 4x40 elements. 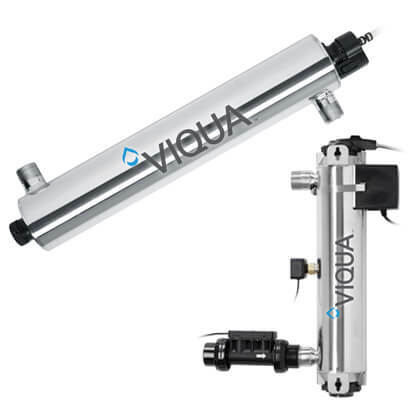 Lighter, safer, and more reliable than PVC membrane pressure vessels, our stainless steel membrane housings will not be affected by UV rays or sunlight, and are ideal for system pressures up to 300 PSI. 100% Quality Control Inspected in our ISO 9001:2015 certified facility in USA. 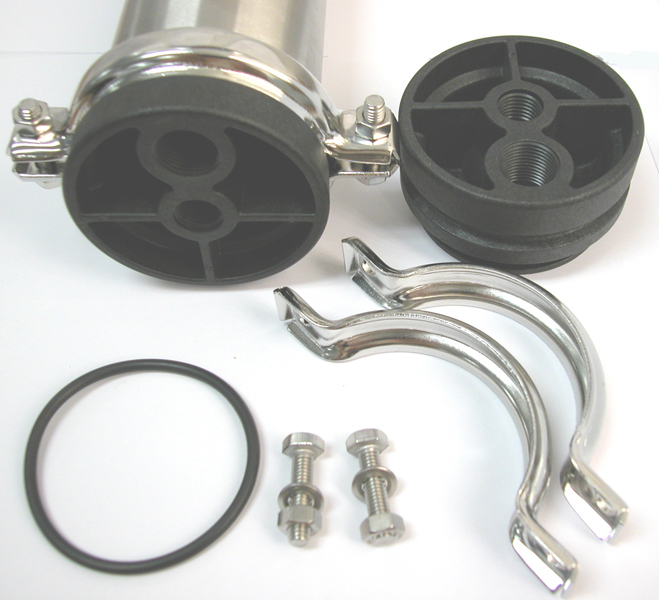 Vessels are sold complete with End Plugs, End Clamps, and O-Rings. Feed end product port plugs, mounting hardware, and membrane interconnectors are sold separately.